The 10 cwt tenor bell from this ring of six became loose on its head stock due to its hardwood seating pad fracturing. 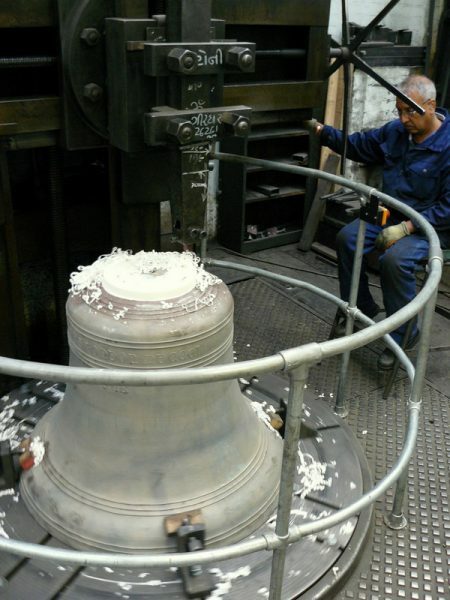 The bell will be lowered into its pit and a new seating pad of resin will be cast on the head of the bell before it is rehung. Work completed and bell rehung.